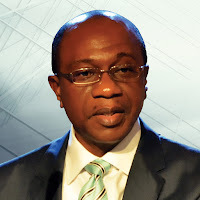 The Central Bank of Nigeria Governor, Godwin Emefiele and the Accountant General of the Federation, Ahmed Idris, have denied knowledge of the one per cent commission paid to a private firm Systemspecs Operators of an electronic platform. At a Senate investigative hearing on Wednesday, the CBN Governor said that he does not know about the one per cent fee which mops up government revenue until the matter was brought up in the Senate. The investigation was geared towards getting to the bottom of allegations of abuse of the Treasury Single Account (TSA) regime. A federal lawmaker raised an alarm that the appointment of a private firm to collect government revenue from Ministries, Departments and Agencies into the Treasury Single Account, is a gross violation of Section 162 (1) of the 1999 Constitution and the Banks and other Financial Institutions Act. Federal lawmakers, however, disapproved of a one per cent commission, which the private firm was allegedly collecting to mop up revenue. Mr Emefiele, in his presentation, disclosed how much had been collected into the Treasury Single Account so far. He also made an interesting observation as regards the one per cent commission which had been the bone of contention. The Chairman of the Joint Committee, Senator John Eno, said that the purpose of the investigation is not to witch-hunt anyone, but to ensure that due process is followed in government transactions.